Could a plumbing and heating engineer be named Britain’s Top Tradesperson again? Britain’s Top Tradesperson 2018 competition has launched, and it inviting plumbing and heating engineers from across Britain to be recognised for the great work that they do in keeping our homes and local businesses in the best condition. The annual competition, organised by Screwfix and supported by Mitsubishi Motors in the UK, aims to highlight and recognise the great work tradespeople do in the region. This year’s winner not only takes home the coveted title of Britain’s Top Tradesperson 2018, which will transform their business, but they also drive away in a brand new Mitsubishi L200 Warrior pick-up truck worth £33,000 (OTR). 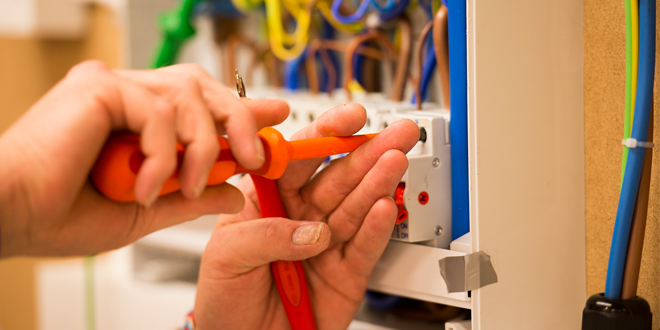 Screwfix will select the best tradespeople to face-off in a regional heat and from there, 10 finalists from across the UK will head to Wembley Stadium for the national final in July, where they will compete in front of an esteemed judging panel consisting of industry experts. Caroline Welsh, Director of Brand and Marketing at Screwfix, said: “The award is only given to top tradespeople who can demonstrate that they go above and beyond in their trade. It’s for those who can show how they are adapting to change in the industry, have a positive impact on their community, invest in the future of the trade or show true professionalism in every job they complete. This is our biggest competition of the year, designed to showcase the fantastic tradespeople in the industry. Winning can truly transform a tradespersons life. Business is booming for last year’s winner, Lluis Dalmau, owner of LCD Heating and Gas Services. “My business is my pride and joy, so to win the title of Britain’s Top Tradesperson meant so much to me. My customer base has grown more than I could ever imagine and I now have extra confidence to take my business to the next level. 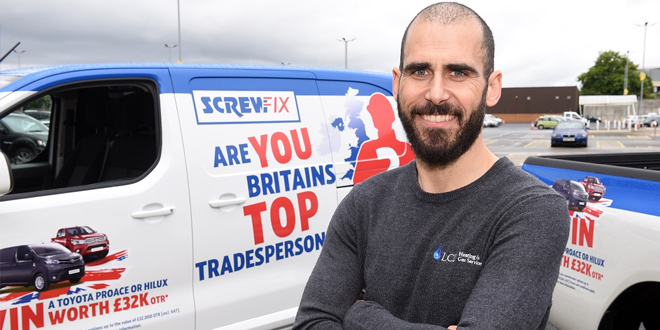 I think it’s fantastic that Screwfix run a competition like this – if you think you’ve got what it takes, make sure to enter now – you’ll never look back,” said Lluis. Entries are open until 3 June 2018, with regional finalists selected and competing later that month. In July the finalists will compete at the national finale, with the overall winner being named Britain’s Top Tradesperson 2018. To find out more, visit your local Plumbfix trade counter, or go to screwfix.com/btt to enter directly.